15/6 – 20/8: Monday – friday: 10 – 17; saturday – sunday: 12 – 17. Parking: free parking outside the mainentrance. Kristiansand Museum is an open-air museum with 40 old houses arranged in the Setesdal Farmyard and the Old Street of Kristiansand. Take a walk through our beautiful open-air museum. Let our guides tell you about the history and traditions, let the children play and enjoy a cup of coffee at the cafeteria in Mørch’s Pavilion. 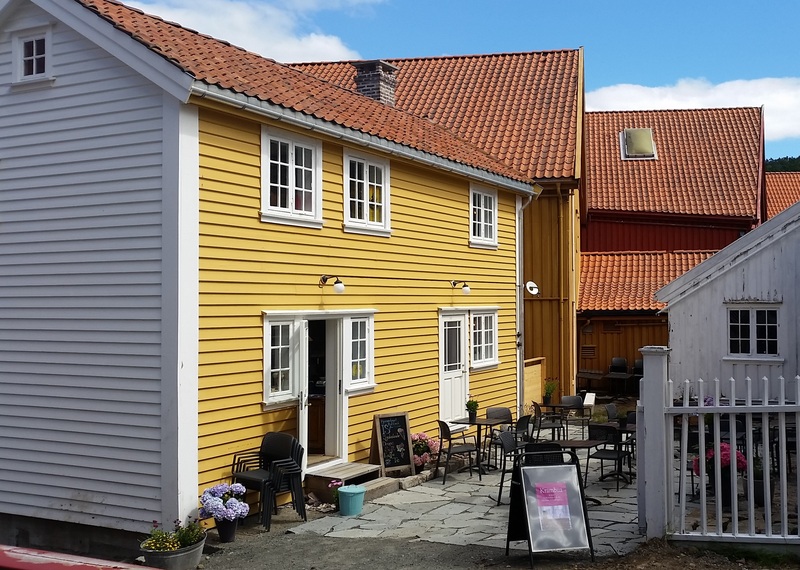 Children’s activities at the open-air museum in Kristiansand, every day from 1/7 to 06/8 Meet Norwegian farm animals in the courtyard, help to feed horses and sheep and learn about why the animals were important on the old farms. Explore the exciting walks with a nature trail and more! Visit the uniquely decorated Tonstadbua in the Vest-Agder courtyard. In the museum building, there is an exhibition of Norwegian rose painting traditions in Vest-Agder. Guided tours hourly from 11. Last guided tour at 16. The Gimle estate was built around 1800. Collections of paintings, period furniture, china etc. reflect a family home through five generations. Now a cultural museum of historic interest, surrounded by an Englishstyle landscape manor house park. Combined tickets for the museum facilities at Gimle. other historical children’s games at the courtyard outside Gimle Gård this summer! In fine natural surroundings at Møvik just outside Kristiansand stands a cannon battery from WW II. The cannon is the world’s second largest cannon installed on land. 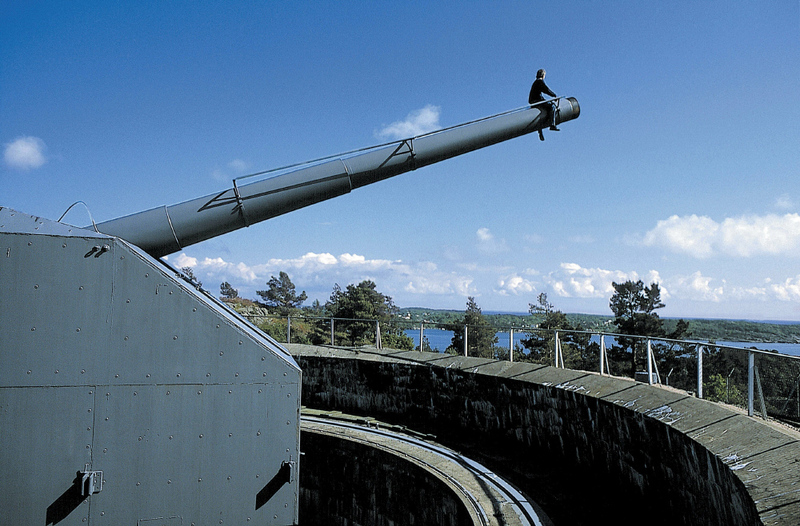 The cannon battery itself is 19.75 meters in length and weighs 110 tonnes. Construction of the cannon battery started in 1941 and along with the cannon battery at Hanstholm (Denemark) it was intended to control the shipping lanes in the Skagerrak. We have re-opening parts of the old ammunition railway. The ammunition wagons have been rebuilt to carry passengers, and you can take a train ride around the fort area in the main season! Odderøya Museum Harbour and the activity building are the first steps towards a major museum initiative linked to Kristiansand’s maritime history. We have drawn our inspiration from the 1950s, ’60s and ’70s and want to tell you the history of the fibreglass boat and its unique association with the region. We aim to offer you a wide variety of activities linked to maritime history and coastal culture. In the outdoor area, you will find an extensive exhibition of classic fibreglass craft. For each of the craft, there is information about the manufacturing process and use, as well as technical specifications. At Odden, you will find an installation which consists of sun loungers and parasols. 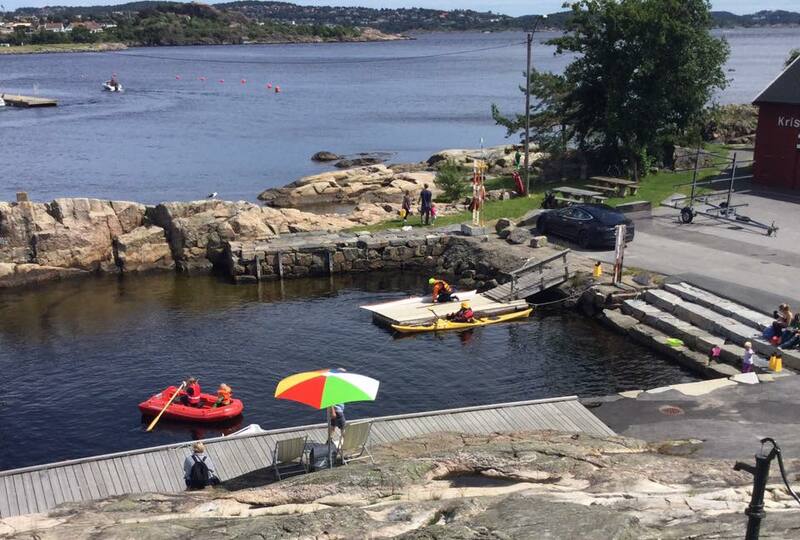 In the middle of the loungers, «crankophones» have been installed, where you can listen to «Summer memories from the south coast of Norway” (Sørlandske sommerminner), while the children enjoy a trip in the rowing boat. On the first floor, you can visit the Skibsplast exhibition. This exhibition explains the history behind one of the region’s largest suppliers of fibreglass craft. You will be able to see the original mould and, eventually, a fully moulded craft. You will also be able to feel the various materials that are used to mould a fibreglass craft. It’s fun at the museum! You will find a variety of activities for the children, both indoors and outdoors. You can whittle a boat out of bark, make a crab line, make buttons, row a boat and much, much more. We also have the world’s only «Dobbophone», a unique musical instrument with sounds from gulls, water and engines! Make up your own song with cries of gulls and sounds from the water’s edge. “Kabyssen» is the museum harbour’s café. Coffees, teas, ice creams and other snacks are available. The museum shop offers something for everyone. Setesdalsbanen is a narrow-gauge railway between Grovane and Røyknes in Vennesla. The line operates during the summer season running steam trains with old wooden coaches. At Grovane station and Røyknes station it is possible to buy light refreshments and souvenirs. With the authentic old train station buildings, the stylish teak carts, the century old locomotives and the smell of burning coal, you can join in on a unique journey through a small piece of Norway. The beautiful scenery is only an added bonus. Tickets can be purchased at the station. It is not possible to pre-order single tickets. Tickets are purchased at ticketsales at Grovane or Røyknes station, and open one hour before each train departure. The Mandal Museum and Vigeland’s house will accommodate city walks and groups by arrangement throughout the year. Summer season starts June 20th. 20/6 – 15/8 2016: Mom-fri kl. 11 – 17. Sat og sun 12 – 17. 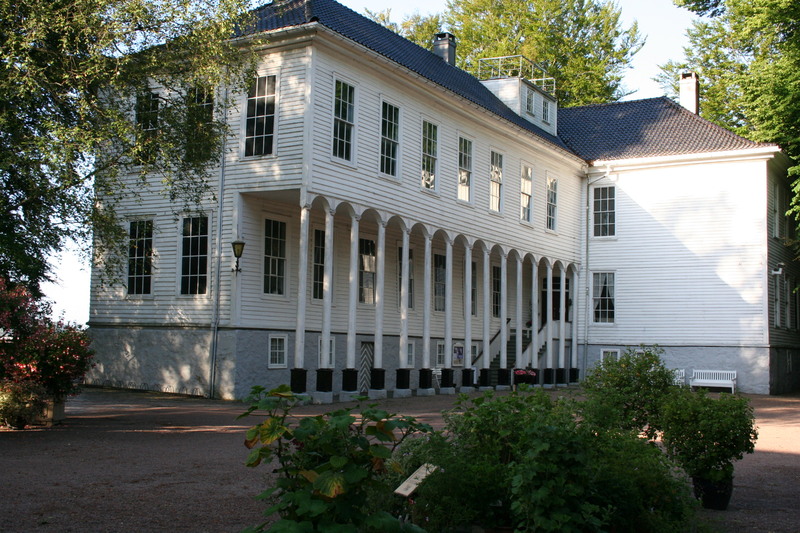 The museum is situated in Andorsengården, which was the town’s most prominent trading establishment. The property was built in the years 1801 to 1805. Mandal has often been described as ”the small town with the great artists”. This is reflected in the museum where one can find works by, among others, Adolph Tidemand, Amaldus Nielsen and Gustav Vigeland. The museums maritime section boasts a collection of artefacts and paintings and the fishing section gives a good insight into the fishing equipment that was used. Vigeland House: Children’s graphic art workshop at Vigeland House in the high season. From 7 years and upwards. Listed building from 1724 furnished as a middle-class home from the 1700-1900s with typical furniture and interiors. Rebuilt buildings in boathouse style with permanent and changing exhibitions. Guided tours in the town centre of Flekkefjord and the museum’s fishing vessel Solstrand (by appointment only). Krambua is a restored country store that previously stood at Kirkegata 14. The building was erected in approx. 1830. The country store was run during the period between 1830 and 1860. According to the County Curator of Vest-Agder, the building represents one of the oldest preserved country stores in the country. Krambua now functions as a reception, shop and café. Visitors can enjoy a nice cup of coffee and taste (in our view)the world’s finest ice cream. In addition to the permanent exhibition of L.K. Gulbrandsen’s works, the museum has changing exhibitions in the wharfside warehouses. You will always find something new to see.